We recently spent a weekend training with Aaron Cowan of Sage Dynamics and created this “deep dive” video to provide a more thorough perspective on how you can integrate the SwitchBack 2.0 into your low-light tactics. Additionally, we wanted to share exactly how and when to use the aluminum washer and o-ring that come with every SwitchBack 2.0. As you can see in the diagram, the aluminum washer is to increase the gap between the tailcap and flashlight body on Streamlight HL and HL-X flashlights. You DO NOT need to use the included o-ring with Streamlight lights! Furthermore, the o-ring is really only necessary on SureFire and Elzetta lights that have a large gap between the tail cap and flashlight body. You won’t need it unless you have a shorter “tactical tailcap” but it’s easy to assemble and test if you’re not sure. You DON’T need the aluminum washer for these lights. For brands other than Elzetta, Streamlight, and SureFire, you may need to experiment with the washer and o-ring to get an optimal fit. Try the SwitchBack 2.0 without the washer or o-ring first, as you may not need them. You can check out our compatibility table for the SwitchBack 2.0 if you are wondering about a specific model of light, including some Nitecore, FourSevens, and Pelican lights. You are welcome to contact us if you have questions. 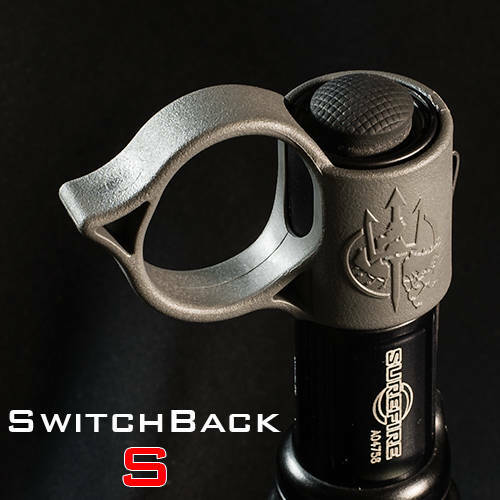 You can get your SwitchBack 2.0 at Thyrm.com and as always, we’d love to see your SwitchBacks in action. Share your stories on Facebook and Instagram!